Kid's Room There are 2 products. 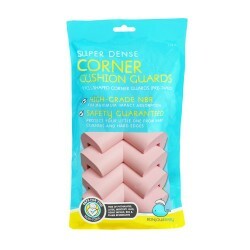 Protect your little ones from bumps and bruises with Bonjour Baby Corner Cushion Guards. These super dense protective cushions are made from high-grade NBR for maximum impact absorption. Choose a playmat the perfectly complements your beautiful nursery. Perfectly soft for tummy time, crawling, walking and all-around playtime! 15 possible mix-and-match patterns!